Unlimited radio stations : Access to dozens of pre-defined Digital Radio stations across all popular categories – Pop, Rock, Classical, Bollywood, Instrumental, Country, Hip-Hop and many more. 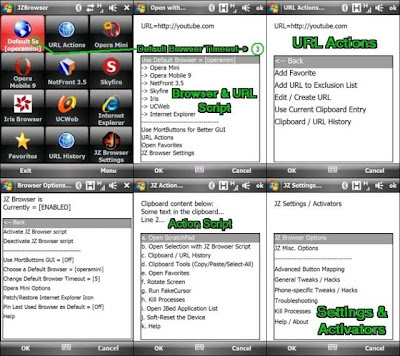 Personal play list : User defined play lists – allows the user to create a personal play list. Immediate connectivity : Quick access to most frequently tuned stations. Easy to use : Intuitive, easy to use and rich user interface. Digital Music : High quality MP3 audio playback. Security : Authentication & Secure Login to the mundu radio service. mySpot is a pocket pc software that provides access to the Spotify service on the Windows Mobile platform. It should works with any QVGA, VGA or WVGA device running Windows Mobile 6.0 or higher (see the additional requirements below). Spotify is a proprietary peer-to-peer music streaming service that allows instant listening to specific tracks or albums with virtually no buffering delay. Music can be browsed by artists, albums, record labels or created playlists as well as by direct searches. Although, due to the system’s DRM, it is not possible to save the streamed music for use outside the application, a link is provided to allow the listener to directly purchase the material via partner retailers. The service is currently only available in Sweden, Norway, Finland, the United Kingdom, France and Spain. 10 Games for Betting is 10 games packed in to one. It features very appealing graphics and easy play. You can play Coin, Fishing, Robot, Casino, Number, Gold Egg, Dice, Bomb, Yut and RSP. You have enough of mosquitoes and other insects! To defend your body from insects here is the Buggy Exterminator. It uses microwaves to fight mosquitoes. 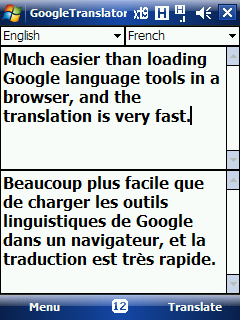 - Support for translation in both directions for more than 40 languages, and this list is constantly updated. - Supports all screens and all permits. - The main functions of text editors. - The choice of font size and style. - Consumes almost no traffic, because works directly through the google api. Application doesn't need online connection. 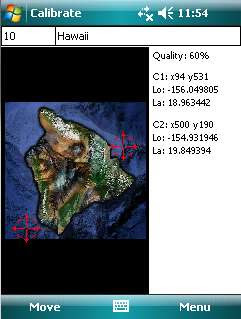 Daidalos uses user prepared maps in jpg format. 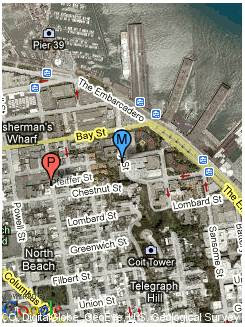 It's possible to add and to calibrate map images. Calibrated map is ready to tracking. Calibration is process of assignment the geographic coordinates on two map points. Ideal calibration is when the calibration points are placed in the opposite map corner areas. Be aware of using only valid rectangled maps. Map views with visualisation of earth curvature are not usable in this application. There is an option to export and import callibrated maps by DAP packages. Daidalos supports touch and non touch devices. 10 different rules Rules for guessing a number in the extraction of the month, derived from the famous Cornelius Agrippa and Pico della Mirandola. Rules 1 to 4 - To get a statement in 2 numbers by 5 extractions at the latest. Rules 5 to 9 - To have the figure for the last extraction of the month. 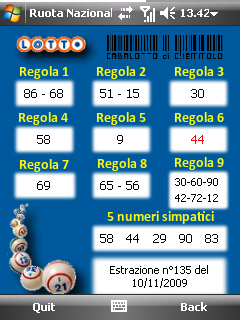 Rule of "Numeri simpatici" - In the current month, one of the numbers in the result will be extracted instead of first, third or fifth. Now supporting English and Italian language. you can edit language file in Main Program directory and translate it for your own language! 1. Added password protection to private messages. 2. Private message box will show trimmed messages and time. Clicking on the message will open full message. Resco Keyboard PRO is a powerful input method. It gives you the ability to write texts and control your applications faster than ever before. In addition to the system keyboard, there are three numeric layouts, including a "Writing Calculator" for typing numbers or numerical expressions. In addition, there is a special keyboard that allows you to customize your Pocket PC for fast insertion of frequently used phrases. The keyboard is fully skin able and supports more than 20 national keyboard layouts. Skins can be installed separately. Choose your favorite keyboard design to feel more familiar with your device. National keyboard layouts give you the ability to write in more than 20 languages (including Belgian, Canadian, Czech, Danish, Dutch, English, Finnish, French, German, Greek, Hebrew, Hungarian, Irish, Italian, Norwegian, Polish, Portuguese, Russian, Slovak, Spanish, Swedish, Swiss, Ukrainian). Keyboard supports standard Gestures with selectable sensitivity and Auto-repeat with selectable repeat delay and repeat rate. 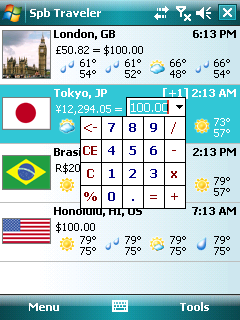 Three numeric layouts including Calculator with formatted text output. Frequently used phrases allows you to write the frequently used phrases by just two stylus taps. Resco Pocket Radio is a player and recorder that provides endless streaming radio broadcasting and is perfect for those who can't live without a radio at their fingertips. Now with Bluetooth headsets support and a touch-optimized player directly in the Today Plugin! 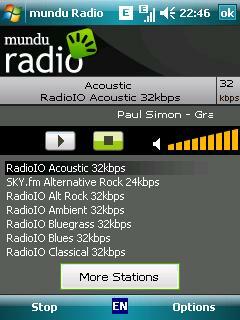 radio stations and assign them to the 9 preset buttons. Whenever you want to tune in, tap a button and you're ready to jam! Buttons are large enough to be controlled just by fingers without the need to use the stylus. 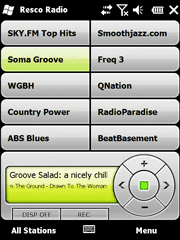 A predefined list of radios with numerous music genres. You can be sure to find your favorite station. If you are unable find a radio that you cannot live without, it is very simple to add it to the list in Resco Radio. 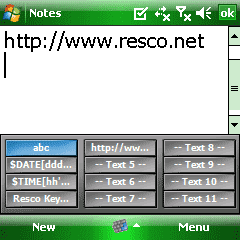 download the file, copy it to your Pocket PC and import it to Resco Radio. This feature lets you record broadcasting while you are away, or when the program runs late at night. The No.1 File Manager for Windows Mobile PDA's, Suitable for WM5 & WM6 OS version. 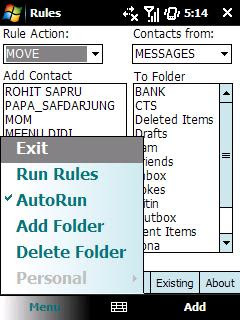 Besides being an easy and well arranged file manager with advanced functions, Resco Explorer 2007 offers dozens of other features, including encryption, ability to map a drive, registry editor, file compression, and many more. The File Manager, Recycle Bin, Today Plugin, Strong File Encryption, ZIP Compression, The built-in viewer, The Network Browser, The Registry Editor and The FTP add-in. * quick "send to folder"
Eat all sushi you can. Let’s see and count how many you can take. We never stop serving sushi to your face. We present Tofu sushi, Maki sushi, Salmon sushi, Tako sushi, and much more. Play the epic warlord adventure with an addicting combat system based on the popular handheld game. Engage in puzzle battles, complete mini-quests, and collect gems for skill upgrades and spells. Your victories open up new levels as you move closer to the final battle with Lord Bane. The award-winning blend of puzzle, strategy, and RPG that is Puzzle Quest is now on mobile! * Groovy fifties fruit-machine style graphics! As you carry out each mission a range of powerups will appear to aid your progress including Smart Bombs that destroy all tanks in the vicinity; Life bonuses to regenerate your tank; Speed to make your tank go faster; Invincibility to protect your tank against the enemy; Weapons upgrades; and Freeze bonuses to halt the enemy tanks and make them easier to blast! Who'd have thought playing with tanks could be so much fun? You can even choose what colour tank to play with! Bubble Shuffle is a fun undersea-themed word-building game perfect for adults and children. Every level is a puzzle for you to solve, with a word made out of bubbles that has been shuffled. Create as many words as you can from the letter bubbles and if you get stuck, shuffle the bubbles to help you! Begin with 4 letters to work from and as you unlock more difficult levels this increases up to 7 letters. Progress from level to level by meeting the required target - one word using all the letters, or a specified number of words from those letter bubbles. 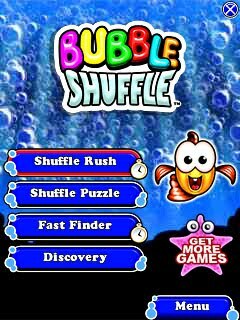 Bubble Shuffle has 4 fun game modes - 2 timed, and 2 more relaxing untimed games. Your friendly fishy host, Wordsworth Smartygills, guides you through how to play, and can provide hints and clues throughout the game just by tapping him. Bubble Shuffle includes 4 levels of difficulty, and advanced anagram-anglers are rewarded for finding more unusual and esoteric words with colorful seahorse pets for Wordsworth! 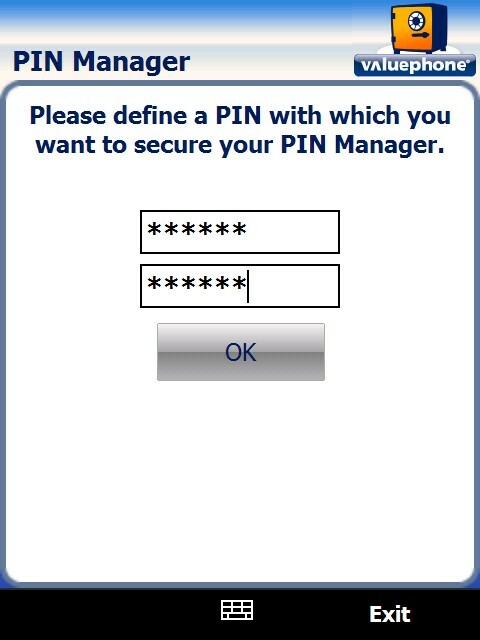 This tool uses a custom built alphanumeric text cipher to secure just about any text-related operations you can think of. 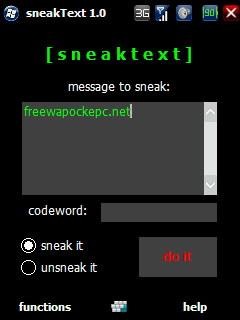 Enter a message in the interface, followed by a codeword, select 'sneak' or 'unsneak', and hit 'do it'. The app will then either securely encrypt the message, or decrypt it. Maybe good for those couples who both use WinMo. 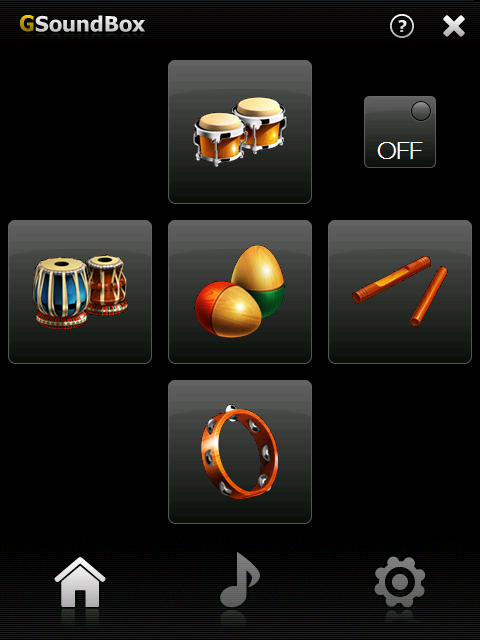 - Record sound, voice, notes, music or any other audio. 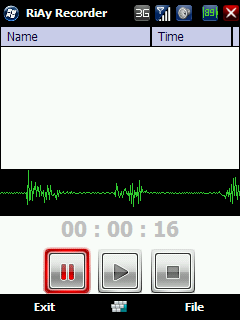 - Realtime waveform indicate the voice recording. - Storage wav file in a folder choosen. - Save recordings to your hard drive in wav or aiff format. FindMyCar runs in the background and uses the GPS to estimate where you last parked your car. The GPS is activated mainly when connected to a car charger to eliminate battery drain. Once FindMyCar succeeded in estimating your car's position, you can click the car icon. A Google map will show up (for that an internet connection is needed). On the map you will see a red balloon indicating your car's location and a blue balloon indicating your current location (if available). Your speed is displayed in Windows mobile today screen. (There is a little lag, will try to fix it later). GPS is kept "hot" when connected to the car charger - meaning that you get immediate fix when launching navigation software or any other software that uses the GPS. You can now see the time that has elapsed since you last parked. - Devices running Windows Mobile 5 or later (touch screen). Install FindMyCar cab file to the device memory (not to storage card). Run FindMyCar from the programs list. To find where you last parked your car, click on FindMyCar Today Screen item, or on FindMyCar task bar icon at the bottom of the screen. A FindMyCar window will appear. 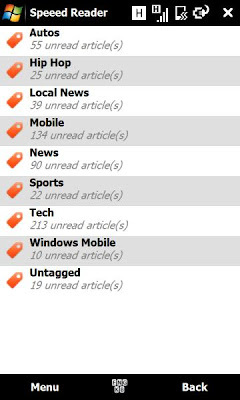 Click on the FindMyCar car icon (in the middle). Your car's location (red balloon) and your location (blue balloon - if GPS signal is available) will appear on a Google map. Click the ‘X’ icon to bring FindMyCar back to the background. You may kill FindMyCar temporarily (till next device reset) by clicking "kill" in the settings window. You can remove it totally simply by uninstalling the application. Vaayoo SocialBox(c) is an award winning application that combines social networking, media (pictures, videos and voice) sync, multimedia messaging and private communities in an easy to use mobile application. - Click and Share mobile videos and photos to Facebook wall, Twitter tweets, YouTube,email, phones, your private community etc. All in few clicks. 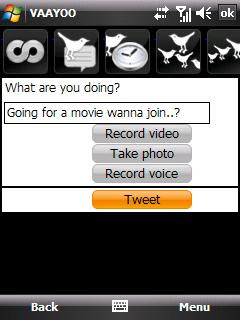 - Reply using mobile videos, voice and pictures to Facebook and Twitter feeds. Add more zing than just plain old text. Yes, click and share mobile videos with your Tweets. - Upload all your favorite pictures, videos and music from your PC and enjoy them anytime anywhere right from your phone. - Securely store your mobile videos, pictures and voice memos in a private box on the web so that you can easily access them on your computer. Your memories are never lost on the phone. Mytravelr is a set of tools designed to help on-the-go mobile users maximize their productivity and reduce the stress of travel. Mytravelr is the result of extensive, user-focused research and development. We’ve put together the services we ourselves find most useful as travelers – and we trust you’ll find them useful as well, whether you’re traveling for business or for pleasure. 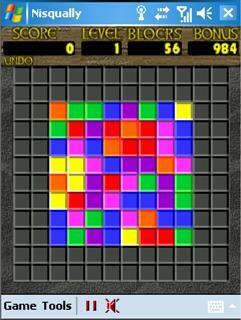 RushHour is an exciting sliding block puzzle game. 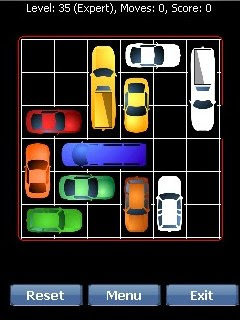 The goal of the game is to get a red car out of a six-by-six grid full of automobiles by moving the other vehicles out of its way. - Fourty levels with solutions! This little app helps you making delicous tea. Just select how long you want it to brew and continue your work. When the time has come a decent alarm will remind you to get the tea bag out. Features are: gently animated steam, super easy to use and finger friendly interface and a nice alarm sound. TD2 Tools brings a lot of HTC Touch Diamond 2 in a small little package. If you don’t like to get your hands dirty with register edit in order to tweak your TD2 then this pocket pc software is for you. You can apply a lot of hacks just by selecting it from the list and hitting apply. For Windows Mobile 6.1 Users, you can still get TD2 Tools (Release 2a) here. You can select a picture from your phone or take a picture from your camera on your phone. Also, if your phone has an accelerometer, you can shake your phone to scramble the picture. This version currently only supports screen resolutions of 240x320, 480x800, and 480x640. Next version, will have the square display to work next as well as adding some more visual effects. Added a cheat function to put the tiles back in the correct order. Play Tic Tac Toe against your friends just by using SMS. Super Wild Wild Words is a Western-themed combination of word search and hangman, based on the popular PC and online game from GameHouse. Super Wild Wild Words has two modes of play: Normal mode where players race against the clock to make as many words as possible before the board fills up; and Bonus mode where extra letters fall onto the play board as you make more words. Earn Sheriff's badges to guess letters from the hangman puzzle, or even use them to guess the entire puzzle. Additional power pieces include Free Guess Keys and First Aid blocks, which give you back a body piece if you've made a wrong guess. Built-in dictionary of over 200,000 words! Hammer Heads is a frantic fun-fest for anyone with an aversion to those pesky creatures that live at the bottom of your garden. As the gnomes rise from their holes, just tap the screen to bash them with your hammer! Meet several types of gnome, each with their own unique quirks, collect power-ups to aid you in your quest, and earn special speed bonuses if you're handy with your hammer! A visit to the Tower of Gold can earn you extra cash to spend on special hammer and life upgrades availabl at the in-game Shiny Shop. Hammer Heads features 2 game modes - Classic Bash - progress through 25 challenging levels and defeat the Gnome King, earning special achievement trophies along the way; and Marathon Bash - a never-ending gnome-bashing extravaganza! Nisqually is the handheld conversion from the great web based game from GameHouse. * Faithful port of the original web version! * Tips to help you get started! 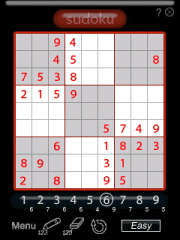 Aidem Sudoku is a logic-based placement puzzle. The aim of the puzzle is to choose a number from the bottom line, and place it in the grid. Every row must contain one of each digit. So must every column, as must every 3x3 square. Each sudoku only has a unique solution that can be reached logically without guessing. There's no math involved. The grid has numbers, but nothing has to add up to anything else. You solve the puzzle with reasoning and logic. Solving time is typically from 10 to 20 minutes, depending on your skill and experience. · Direct number input pad. · Creates challenging puzzles with 4 grades - from easy to expert. · Supports hints with and without candidates. With the free valuephone Shopping Lists Manager shopping is fun! Create and edit shopping lists as you please, clearly organize them and have them available at any time. By simple checking off the items are marked as “Got it” and can just be hidden, if desired. 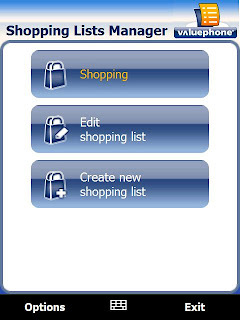 With the free registration with the associated portal www.valuephone.com you even get the opportunity to conveniently create shopping lists at your PC and to synchronize them with two more mobiles. 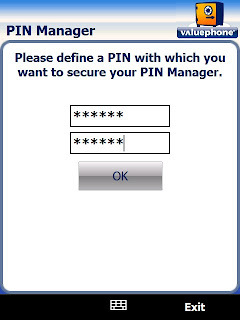 For this purpose, after the registration you just need to enter your username and password to the settings of the Windows Phone application. Take advantage of the variety of valuephone and also test the free applications for other devices available for download at www.valuephone.com. The Nervous System Flash Cards product uses the time tested content and images from BryanEdwards.com and displays the necessary images to demonstrate the nervous system. This PDA version contains 88 pages that thoroughly depict the cerebral cortex, the spinal cord, autonomic nervous system, and its branches. Substantial text content detailing each image, and a quiz (?) section has been added to aid as a learning tool. The Digestive System Flash Cards product uses the time tested content and images from BryanEdwards.com and displays the necessary images to demonstrate the digestive system. This PDA version starts by examining the elementary canal, then leads to the gastrointestinal tract, and finishes with the accessory structures. Substantial text content detailing each image, and a quiz (?) section has been added to aid as a learning tool. The Urinary System Flash Cards product uses the time tested content and images from BryanEdwards.com and displays the necessary images to demonstrate the urinary system. This PDA version clearly examines the urinary tract starting with the kidneys and ending at the blood vessels. Substantial text content detailing each image, and a quiz (?) section has been added to aid as a learning tool. 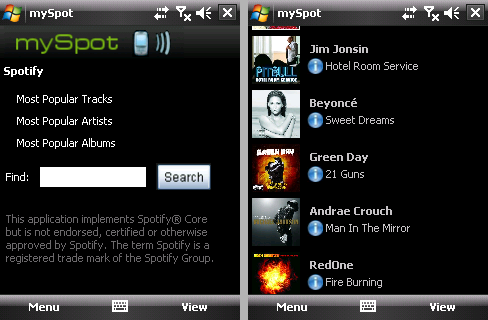 GSoudBox is an application for HTC Windows Mobile phones with G-Sensor. It plays a wide variety of sounds. 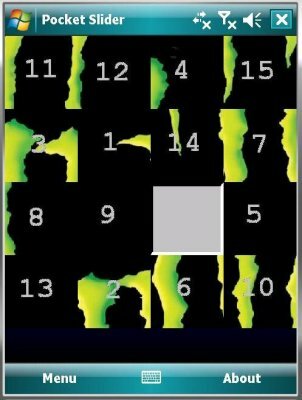 The sounds are triggered by shaking the phone using a variety of gestures. Windows Mobile 6.x (PocketPC) . HTC device with G-Sensor. Screen VGA, WVGA. 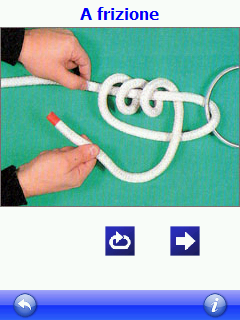 This program is a pocket manual on the knots, besides the information of the single knots, you will find the animate instructions to be able to realize it. 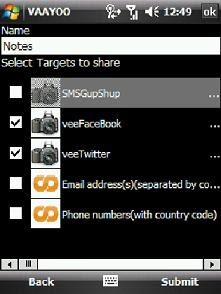 Task2Gather for Windows Mobile is a task manager that helps you to be organized and successful in everything you do. 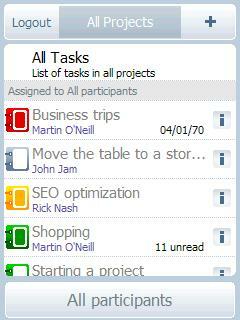 Task2Gather allows you to create, edit and share tasks on the go. All your personal, family, and business tasks are saved in the web cloud and can be accessed not only from your Windows Mobile device but also from your desktop PC or Mac.Task2Gather performs greatly as a personal to-do or shopping list as well as a collaborative tool for reaching common team goals. Even if your family members, friends, or colleagues don't have Windows Mobile device, they can work with you from a desktop PC, Mac or even iPhone. The idea of updating your shopping list while you are in the shop will be to your wife’s liking. Voice dialing is the only thing, which your Pocket PC doesn't have yet. While it has already become a standard for every phone to have a voice dialing system, Pocket PC's generally miss this option. VITO VoiceDialer fills this gap. · Pocket PC WM 2002/2003/5.0. ZoomBoard is a high-tech onscreen keyboard for quick and accurate finger typing on Windows Mobile Pocket PC. 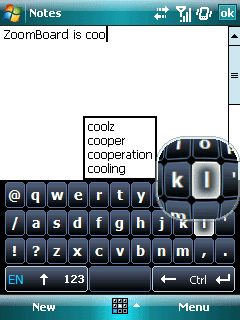 The popping up magnifying glass provides an instant zoom-in on the keyboard area under your finger. Sliding technology allows for accurate and quick text input. ZoomBoard typing is misprint free! As a tower owner, you will have full control in managing all aspects of your tower. Balance your cash in hand and plan your expenses carefully to be able to advance through the different levels of the game. Make the tower Virts happy because they are the ones who will define your success so be sure to make them happy. - And many more cool features to keep you glued to your Pocket PC for hours! With VITO Metronome learning to play evenly becomes a real pleasure. True musicians will appreciate the stylish and user-friendly interface. Simplicity and usefulness were two main ideas that have brought forward VITO Metronome. You can change as much as the tempo, measure and volume. For your convenience it is possible to immediately switch between preset tempos marked by the common Italian names, or you can also manually specify and correct the number of bits per minute. 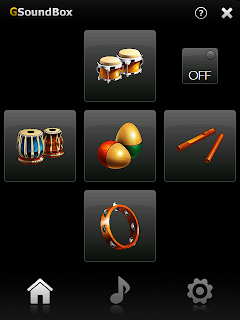 Another way to set the tempo is to tap it on the screen of Pocket PC or to press buttons on Smartphone. VITO Metronome offers most commonly used measures that can be easily changed. VITO Metronome can be easily operated by stylus or just with your fingers pressing big onscreen buttons.